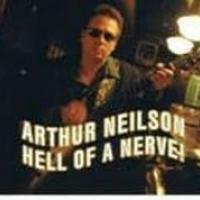 Arthur Neilson, born and raised in Queens New York, taught himself to play guitar on an electric Teisco Del Ray at age fifteen. After purchasing a harmony acoustic, he honed his folk repertoire and fingerpicking skills. Then, one night, he heard Albert King. Arthur got goosebumps from his head to his toes, and has been hooked on the blues ever since. Arthur developed his dynamic guitar style by playing along with every blues record that he could find. Then, in the early seventies, he responded to an ad in the Village Voice, seeking a blues guitarist. This propelled him into the burgeoning New York blues scene, which gave Arthur the opportunity to back up the late Victoria Spivey and jam with James Cotton and Hubert Sumlin. In 1979, Arthur caught the attention of the band Blue Angel with his rootsy and aggressive guitar playing. After joining Blue Angel, they recorded an album for Polydor, which garnered much critical acclaim. Cyndi Lauper was the lead singer of the band. In the eighties and through the nineties, Arthur’s phone was always ringing, as his guitar work was in much demand. Not only was he playing the blues, but rock & roll, rockabilly, and country too. In fact, at one point, he was gigging in seven bands. Some memorable moments were working with guitar great, Otis Rush, as well as Ronnie Spector, and The Commitments. Arthur was schooled in New York City bars and clubs, such as Dan Lynch Blues Bar, Lone Star Cafe, Manny’s Car Wash and Tramps. This has led to sharing the stage with many of his influences, namely B.B. King, Buddy Guy, Roy Buchanan, Danny Gatton, and Albert King, who upon hearing Arthur said, "That boy sure can play!". In 1998, Shemekia Copeland found Arthur to be the guitar player that she was looking for to complete her touring band. Arthur has been performing with her across the globe and can be heard on her latest record, "Wicked". 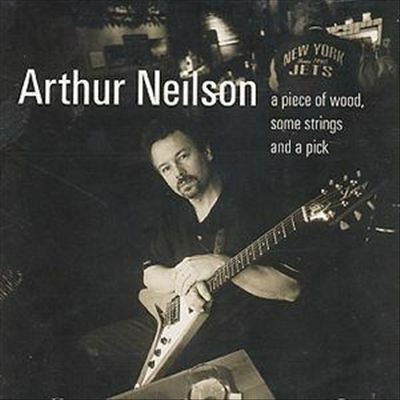 Recently, Popa Chubby asked Arthur to be part of his New York City Blues record. Arthur contributed four of his songs, including the track "Fenderbender" which showcases his intense fretwork. Popa Chubby has also produced the two Arthur solo albums, the recent one (" A piece of wood, six strings and a pick ") and the brand new one : " Moan & cry "
"Whether he’s touring or recording, Arthur will always be found doing what he loves the most, which is playing his guitar." - Popa Chubby.